The inverter provides high quality AC power for electronic equipment loads. 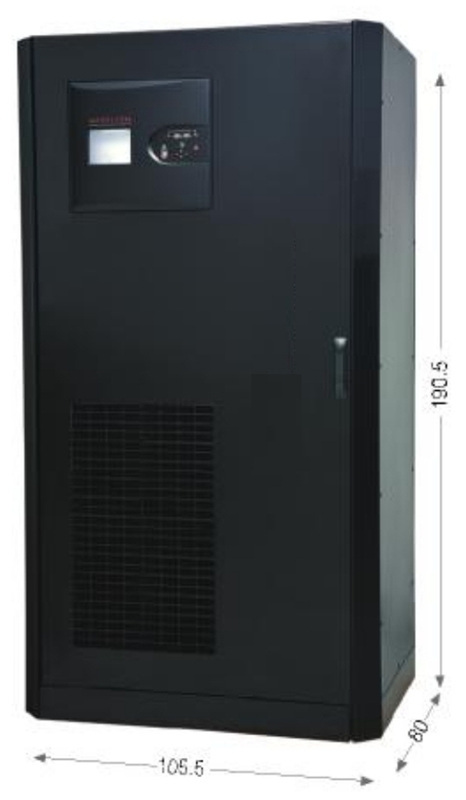 It offers the following features: Increased AC power quality Full compatibility with all types of loads Power blackout protection (for systems associated with battery) Lifetime of, at least, 20 years, combined with an appropriate preventive maintenance Operation temperature of-5 to 60°C permanent. The Inverter uses today’s most reliable topology: the double conversion. It converts AC power from an AC source in to DC power to charge a battery and reconverts it into AC power to provide a clean and reliable AC output to power the AC load. through the static transfer switch. The power loading can reach up to 100% of the inverter nominal rating without considering the inverter in overload conditions. While supplying the load, the inverter and static switch control unit monitors the reserve supply signal and ensures that the inverter bridge tracks the reserve supply frequency. Thus, any automatic transfer to the reserve supply (e.g. when an overload is detected) is frequency syncronised and does not cause an interruption to the load. This document describes a continuous duty three phases Alternating Current (AC) input or DC input , stand-alone, single phase AC output Uninterruptible Power System. The series range meets customers’ INV-MAK technical specifications for industrial applications such as: Power generation Oil and gas offshore developments (platforms, FPSO, etc...) Oil and gas transportation (pipelines...) Oil and Gas treatment plants (refineries, petrochemical units...) Railways and undergrounds control and signalling systems. The system operates on a microprocessor based thyristors charger and microprocessor- based IGBTs inverter. By means of digital vector control technology the performance of the Inverters are enhanced. By adding system components, such as paralleling kits, safety and disconnecting devices, distribution cubicles, as well as software and communications solutions, it is possible to set up elaborated systems ensuring complete AC load protection. The inverter is considered in overload conditions when the load is beyond 110% of the inverter nominal rating. Two cases are considered: Reserve supply is available: Upon overload detection by the inverter (above 105% of the inverter nominal rating), the static switch automatically transfers the load to reserve supply. The static switch automatically switches back the load to inverter 10 seconds after the UPS inverter is back to normal conditions. 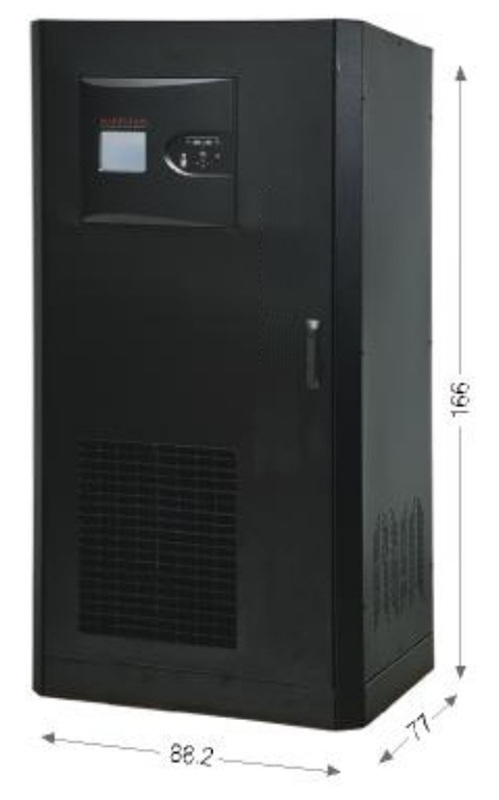 Reserve supply is not available: Upon overload detection by the UPS inverter (above 110% and up to 125% of the inverter nominal rating): The system initiates a timer for a 10 minutes period. The AC load remains powered by the inverter for this 10 minutes period. Upon expiration of the 10 minutes delay, the inverter shuts down. Upon overload detection by the inverter (above 125% and up to 150% of the inverter nominal rating): The system initiates a timer for a 1 minute period.